January 2011 – CREATE. PLAY. TRANSFORM. Food is important to our bodies. Countless cooking shows on television and articles on magazines/newspapers have been followed by fans and critics around the world. Brand new recipes are formulated each day by chefs and anyone who loves to cook. There is quite a number of names that have marked each country for their famous cuisine. Food travelers have featured the most bizarre food to the very common meal today. What do we crave for every single day? Food. But who really takes time to be curious about how plates are made? Kitchen cupboards store a variety of wares: White ceramic ones that are easily found and made in China, heirlooms of glass, crystal plates and pitchers, paper plates, wedding gifts that were never used until today, etc. And there are homes that carry handmade, well crafted, and one of a kind pieces made by artists. People who are not only food lovers, but most passionate with molding the plates that can hold any type of cuisine . We call ourselves “Potters”. We make pottery. Pottery means fired clay. Pottery can be broadly divided into earthenware, stoneware, and porcelain. The firing temperature of each type of clay is different. I would like to give a special feature on stoneware, which is fired higher than 1200ºC in a gas or wood-firing kiln. Handmade stoneware pottery is given full attention for hours, days, months, years, and decades of mastering the craft. In some parts of the world, pottery making has been handed down from one generation to another. 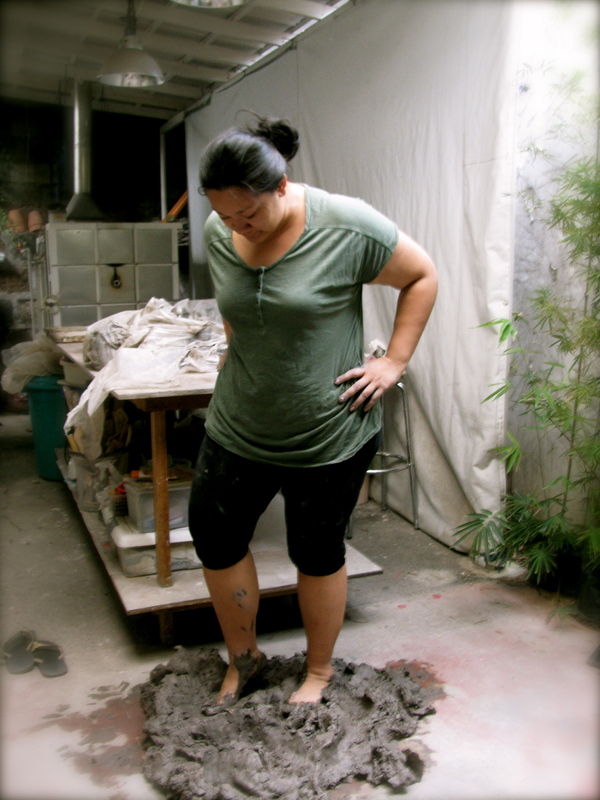 In my country, The Philippines, in Luzon mostly, there are several potters that are currently processing clay, formulating glaze recipes, and creating pieces for homes, restaurants, hotels, resorts, and spas. Some produce pots locally. And there are those who are into the exporting business. Some of you may have gone to their pottery haven. But I would like to talk about what pots alone can’t share. No, I am not sharing food in this blog. But I am sharing the creations and lives of the artists behind their unique vessels including mine. Some of us are in the mountains of Sagada, up on rooftops or in a backyard in Metro Manila, beautiful provinces in Luzon such as Laguna, Quezon and Batangas, Antipolo, Cavite, Bulacan, etc. Some are also getting their hands busy with clay in the U.S., Japan, Australia, and other parts of the globe. Whether handmade or done in slip cast, each maker has its own story. They are not only fellow potters, but they too are my friends and consider them my Ceramics family as well. It is a small industry in The Philippines, as compared to the numerous kilns that are still being fired in other countries today. I would like to take this time to write most of what I know about them. While hands are still busy forming clay, while kilns are still being fired, while hearts and souls are still on fire for the craft of making functional ceramics and sculpture in clay. A lot of Ceramic factories have closed down. But as heat rises in the fiery furnace, I believe that the fire for the craft will continue to live on. And I hope that the fire would reach to the other parts of The Philippines, to whoever will take time to read this, and to people who want to get into pottery making as a hobby, art expression, or simply something new to do in 2011. 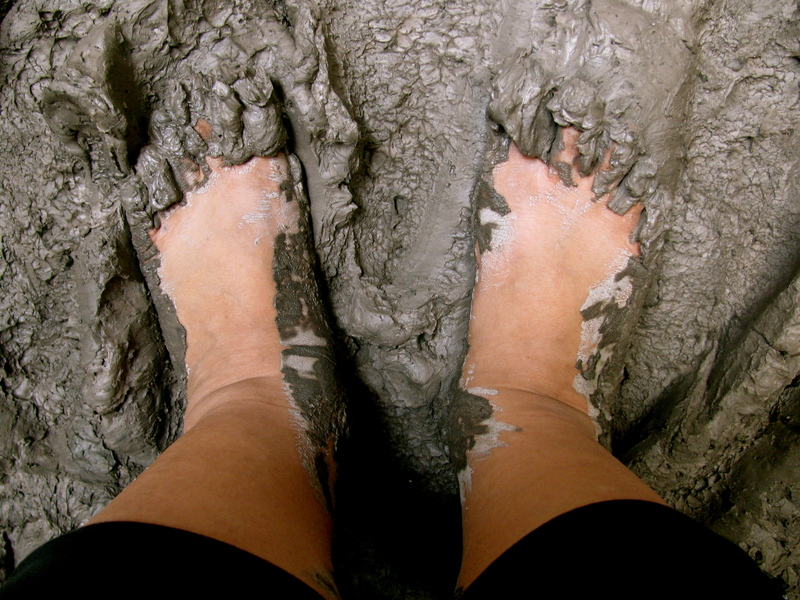 May this muddy blog reach readers all over Luzon, Visayas, and Mindanao. I am believing that potters and pottery enthusiasts from around the world will get to know more about the potters of my country, where clay is continuously being processed, where kilns are still being fired in low/ high fire temperature, and where tropical heat doesn’t matter for as long as the fire in the kiln is burning. Get to know the Potters of The Philippines. One destination at a time. One fiery soul at a time. Thousands of blogs circulate the cyber world each second. Each reader is looking for something new to read. Have you read about Philippine Pottery lately?